For many parents around the country, they’re trying to figure out how to keep their kids from sitting on the couch all summer and wasting time in front of the TV. While there are many TV shows and video games that are fun and educational, it’s important to engage the brain in other ways during the long summer break. At LearningRx, we want to help students unlock greater cognitive power, and our brain training programs are designed to help people of all ages. If you’re interested in learning more about our educational franchise opportunities, then please contact us today! 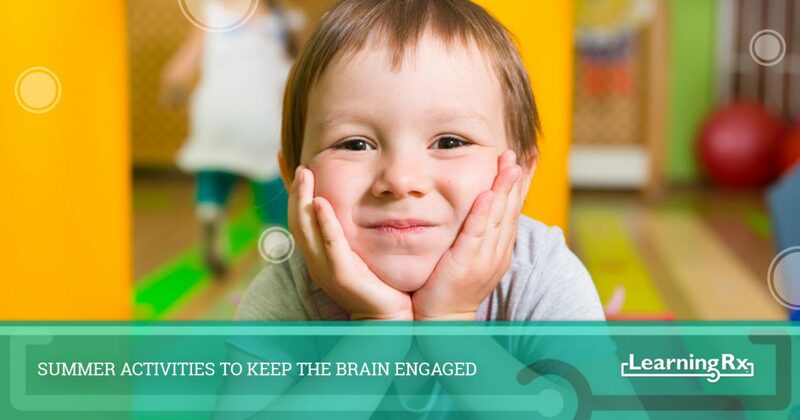 In this post, we’ll take a look at some summer activities that kids can do to keep their brain engaged during those three months or so when they’re not in a classroom. This might seem like an obvious choice, but puzzles and board games can be a great way to help kids keep their brains switched on during the summer. The various pieces of a puzzle can help them work on their critical thinking and recognition skills, and games that include new words can help them increase their vocabulary. Puzzles and games can also improve their social skills, since they often have to interact and cooperate with others to win or to achieve a specific goal. As a parent, you likely want to find ways to get the kids out of the house. The weather is nice, and the last thing they need is to spend every waking hour inside. A scavenger hunt can be a great way to get the kids up and moving, and you can leave clues that require them to deduce an outcome or figure out where the trail leads. If you’re feeling ambitious, you can leave clues that take everyone to a local park or museum that contains science and history lessons that your kids can learn without the pressure of a classroom setting. 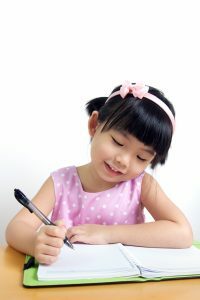 Encouraging your kids to keep a journal or diary about their summertime activities can help them greatly improve their writing and spelling skills. Not only that, but they’ll also be creating something that they can look back on and see how far they’ve come and how much they’ve done in a few months’ time. You can suggest that they try to write in a certain form, such as a poem or an essay, or have them write down thoughts as they come. Whatever their process, it’s sure to help them become better learners! Summer should be a time for relaxation, but it can also be a time for new adventures and activities. If you’re trying to come up with some things for your kids to do that don’t involve a screen and a controller, then hopefully these suggestions above will help you get started. At LearningRx, we’re dedicated to helping students of all ages improve their brain power. If you’d like to learn more about our brain training programs, or how you can start a learning center in your community, then please contact us by using the form below.